What is the best plan for one day at Disney’s Animal Kingdom? This week, Dave and Safari Mike offer up there personal touring schedule for one day at the park. 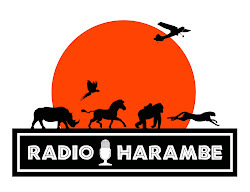 The guys also discuss the news from Disney’s Animal Kingdom and the rest of Walt Disney World, including Elephant and Rhino Day, and accomplishment for Boma, and even a lengthy discussion on the recent PBS documentary about Walt Disney. If you have any questions or comments about the show, feel free to email us at jamboeveryone@gmail.com. Asante Sana! Book a WDW Vacation and Help Save Wildlife! Happy Elephant and Rhino Day! Jambo Everyone is not affiliated with the Walt Disney Company. Simple theme. Powered by Blogger.